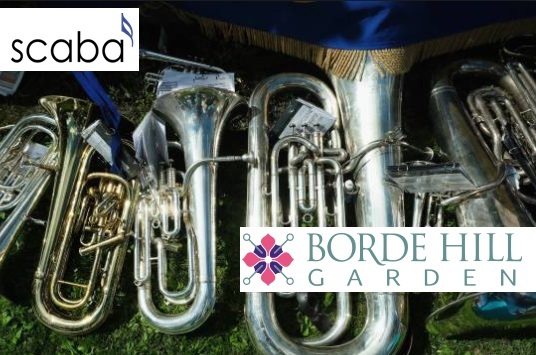 Home / Blog / Fairlop Brass – 50 Fabulous Years! Fairlop Brass Band celebrated its 50th Anniversary with two major events in June. At the beginning of the month, current members and long standing supporters of the band enjoyed a Gala Dinner with the Band’s founder and current President, Dennis Carney as guest of honour. Centrepiece of the celebrations was a concert at the magnificent Chapel at Trinity College Cambridge. An audience of 200, including many previous players and a founder member on a visit from his home in the USA, enjoyed an excellent programme which included excerpts from Suite Gothique and Edward Gregson’s Partita, Pastime with Good Company and a Big Band set. Fairlop Junior School Brass Band was founded in June 1968, the brainchild of the school’s music teacher Dennis Carney. After the Band had been in existence for two years, it faced the dread of all school bands, namely losing players as they progressed to other schools. Such was the enthusiasm of the players and Dennis Carney that it was decided to run the band independently from the school, and Fairlop Junior Brass Band was born. In the early years, the Band’s progress was very steady and firm foundations were laid. Current MD Kevin Jordan was appointed in 1984, and the 1990’s saw a steady stream of trophies and titles won by the band. In 1995, the band qualified for the Finals of the National Brass Band Championships being held at the Wembley Conference Centre. Resplendent in their first ever uniform, the band were crowned Third Section National Champions of Great Britain. The winnning performance of Suite Gothique (available on the band’s first CD) drew praise from the adjudicators for its musicality. The first Fairlop Brass CD (The Fairlop Collection) was recorded in 2002 and sold nearly 500 copies. This CD was taken into Space by the Astronaut Brother-in-Law (Dr. Piers Sellers) of one of our Bass players (Allison Greenwood), where it was played twice on the Shuttle’s sound system whilst orbiting the earth! At the end of 2007 the band recorded their second CD (Celebration). This formed part of their 2008 40th Anniversary Celebrations along with a tour of Italy and a fabulous winter concert with Richard Marshall (Principal Cornet of the Black Dyke Band). The Band does as much as it can to support local community events and to raise money for Charity. Current Musical Director, Kevin Jordan, has received an Award from Redbridge Arts Council for “services to music” and the Band has on two occasions received Community Award grants from BT to help support the work they do for others. The band meets weekly and runs by consensus. Whilst several people hold important roles such as Secretary and Treasurer, the band survives due to nearly all members having at least one specific role or responsibility in addition to playing. The Band has also only had two Musical Directors in its 50 year history. Current MD Kevin Jordan took up the baton when founder Dennis Carney relinquished the role in 1984. Kevin had been a member of the band since September 1968 and also played with Redbridge Brass and guested with other Championship section bands in the area. He previously held the position of Deputy Bandmaster at Fairlop and regularly conducted several pieces in each Concert. On being appointed as MD, Kevin curtailed his playing to concentrate on his new role and under his leadership the band has enjoyed a full and rich musical history and much contest success. It is worth noting that neither Dennis or Kevin have ever sought a fee or expenses for their services! It is also worthy of note that the total membership of the current Band amounts to over 750 years, and would have been higher still if three long standing members (over 90 years service between them) had not left the band within the last year. Fairlop Brass Band has a formula that works for them, and shows that there are different ways to run a brass band. Their Anniversary celebrations will come to an end with a Concert at The Kenneth More Theatre in Ilford in November, when once again they hope many former players will be able to return to listen to the band. This entry was posted in Blog, News and tagged #FairlopBrass, Anniversary. Bookmark the permalink.